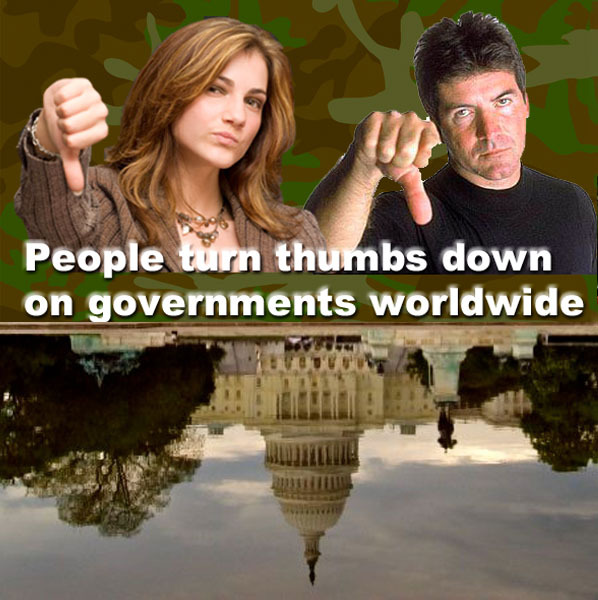 PEOPLE WORLD OVER TURN THUMBS DOWN ON THEIR GOVERNMENTS – TRUTH IN MEDIA: TRUTH TRUMPS POWER EVERY TIME! TRUTH IN MEDIA: TRUTH TRUMPS POWER EVERY TIME! 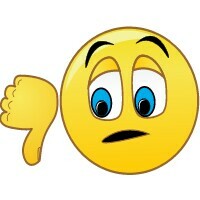 People world over are turning thumbs down on their governments, the latest OECD study shows. The report, “How’s Life? 2013,” showed that the percentage of people that trust national government declined in the United States from 50 percent in 2009 to 35 percent last year. Among the OECD’s euro constituency — 14 of the 17 EU countries that use the euro are members of the OECD — the proportion trusting government fell from 49.1 to 42.8 percent over the same period. In Japan, the situation’s even worse, dipping from 27 percent in 2010 to 17 percent last year. If any country typifies the human cost of the financial crisis, it might well be Greece, which had to be bailed out to stave off bankruptcy at a high cost to employment, living standards and social services. In Greece, the percentage of people reporting that they trust the government fell from 38 percent to 13 percent between 2007 and 2012. Bucking the trend was Britain, where people trusting government increased from 36 percent to 47 percent between 2007 and 2011. The report found that government wasn’t the only institution facing a loss of confidence. Similar declines were registered for financial and judicial institutions and the media. In Europe, the outlook is even bleaker since citizens appear to trust each other less and less. The House has passed a bill (H.R. 992) that would roll back these derivative regulations and let banks go back to the same set of rules that let them break the economy in the first place. So, why is it that both parties have found a way to agree on a substantive regulatory change at a time when partisan bickering is supposedly making any progress impossible? It’s certainly not because the public is up in arms about rolling back derivative regulations — most Americans have never heard of derivatives trading, let alone pressured their Member of Congress to deregulate it. No, this is happening for a very different reason: Big bank lobbyists wrote this bill. Today, Nov 5, is the election day in a number of states. It is an opportunity to remind ourselves how little our vote counts when weighed against the moneybags Wall Street bankers and other Big Business sponsors hurl at the politicians. So they could get what they want – our hard-earned money. With the help of corrupt politicians. Previous PostPrevious FORMER JUDGE: WHAT ARE CONSEQUENCES OF PRESIDENT SPYING ON HIMSELF?